Thunderbird 42.0 is in Beta version. I have downloaded and tested this new Thunderbird 42.0 on my Zorin OS 10. Thunderbird is a complete, rich features mail client for Linux desktop. Its a perfect Microsoft Outlook replacement for Linux users. 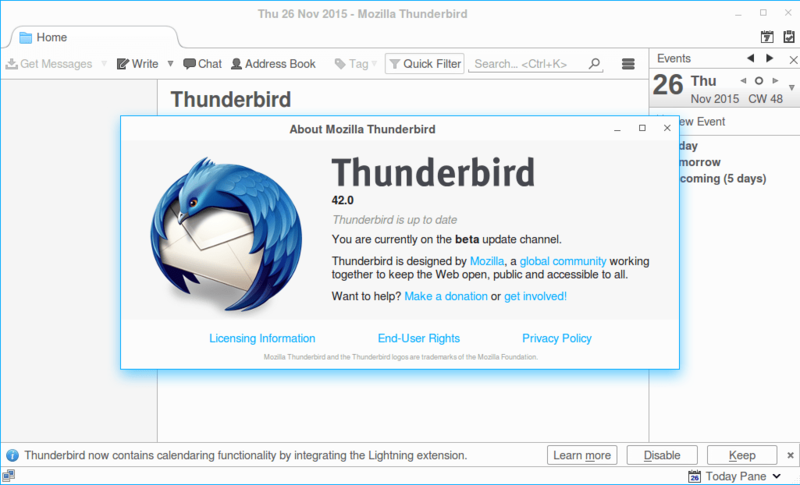 Thunderbird can be installed on any Linux distribution. This tutorial will show you how to install or run Thunderbir 42.0 Beta on Zorin OS 10. Open this download page and select the Linux version. Make sure you select the Linux version and arch. For example, I got this file for my Zorin OS 10 64 bit edition. Now right click the tar.bz2 file and select extract here. It will produce a new directory on your Download folder. Now open the folder and right click the file “thunderbird”. Thank you and enjoy Thunderbird.